The challenge with HP is that their dividend growth was really low before a couple of off the chart years. 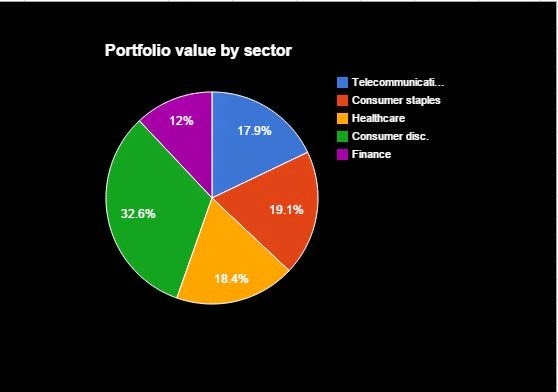 For me, going with the larger more diversified play of CVX makes more sense, and is why I've invested in them. Best of luck as you make your decision! Thanks for your continued contribution to my blog. It's much appreciated! Portfolio diversity is really a function of your own comfort level more than anything else. You may read or hear about many financial planners touting you need X% in this asset class and X% in that etc. but the reality is that most suggestions are based on future speculation and really has no more merit than any other portfolio diversification measure. The bottom line is if you can sleep well at night and are happy with your portfolio allocation then you are set. CVX and HP are two completely different animals. Depends on what exposure you want in your portfolio. CVX is more of a complete energy giant operating in both in upstream and downstream - so its an integrated oil company. HP asaik is just drilling and exploration. I own CVX and its seriously attractive right now. I would add more if I had the cash, but theres still time until this whole oil massacre settles down. I already added to my CVX position in Oct, but will probably add again this year. Thanks for pointing this out. As a foreigner these differences are sometimes difficult to find out. Both companies seem to be very depending on the crude oil price, as both companies are pretty close to their 52w low value. However, as you pointed out, the businesses are still working in a different field. It makes sense to invest in CVX, rather than HP, knowing these differences. "Complete energy activities" would seem to be more profitable in the long run than just drilling and exploration, as oil is running out rapidly. I would definitely add energy stocks first... but that might just be me! CVX would be my my bet too!